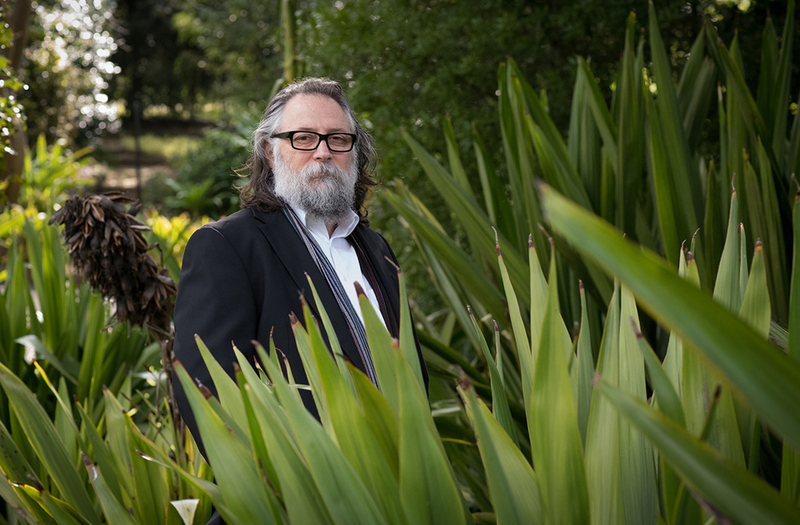 The design approach is a labour of love for Dr Phillip Roös, a Senior Lecturer in Architecture at Deakin University, who explains biophilia as humans’ natural affinity with living things and the enhancement of our sensory experiences. 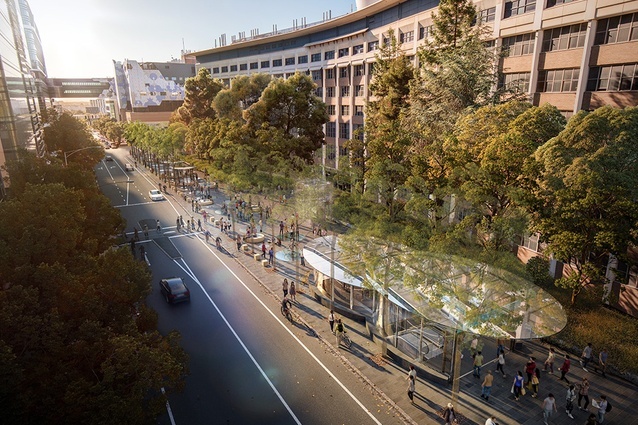 Dr Roös was Principal Technical Advisor for Sustainability to the Melbourne Metro Rail Authority when its Metro Tunnel Project was put out to tender last year, and championed an innovative approach to the stations’ design. “Australia has been doing rail the same for more than 50 years, but with this project, we wanted to look beyond not just standard practice, but beyond standard sustainability practice too,” he said. “Biophilic design is about going further and deeper than just the idea of building something that is sustainable. It acknowledges that any built environment is intruding on a natural space and should, therefore, emulate nature as much as possible. “This isn’t just about low-impact features like green power or water recycling, it is also recognising that humans are drawn to the patterns inherent in living things, so if we can create something that follows these rules of nature, humans will benefit as well as the planet. While Dr Roös is aware the concept may seem a little ‘out there’ to some, he has developed many years of research to ground these principles of human-nature and environmental relationships. 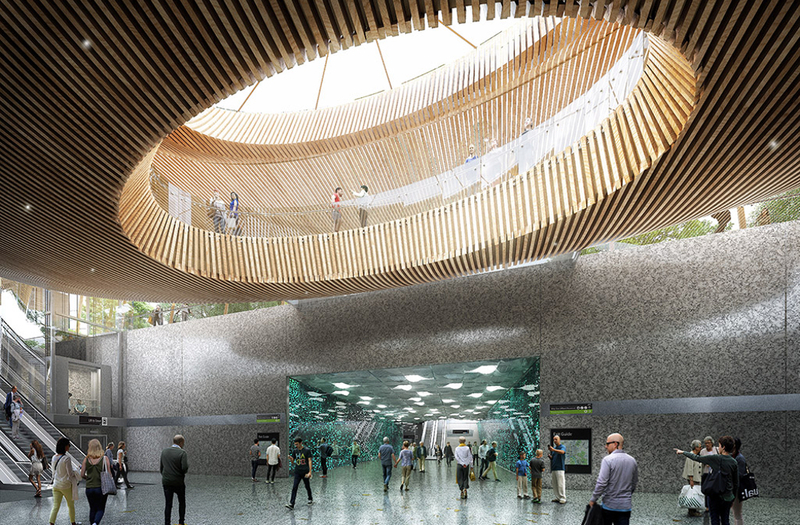 “To make sure this is legitimate in a large and complex project like the Metro Tunnel, we needed an expert assessment of how biophilic design works, how it gets applied to the built environment, and more specifically how this can be applied to a metro project,” Dr Roös said. The resulting Creating Healthy Places study was carried out by Professor David Jones, Dr Roös and Josh Zeunert at Deakin’s School of Architecture & Built Environment, and Paul Downton of Ecopolis. 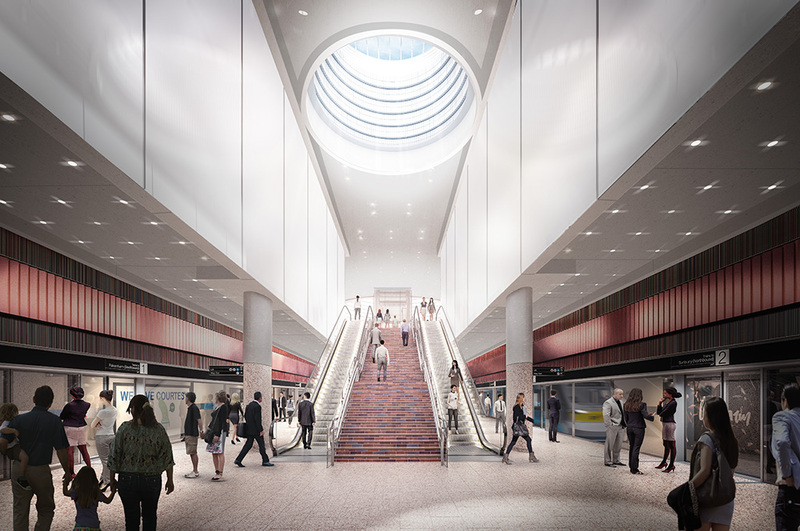 Dr Roös used the study to develop and write guidelines for the five underground stations being constructed as part of the Metro Tunnel Project. Using the recommendations of 15 patterns of biophilic design in the Creating Healthy Places study, the guidelines are informing architects, urban designers, landscape architects and engineers in developing their detailed station designs and public realm plans. These include things like a visual connection to nature, the presence of water, variability in airflow, dynamic light, geometric patterns inspired by nature, and creating places of refuge or mystery. Dr Roös said transport design was a perfect opportunity to incorporate biophilic principles. “In many ways, public transit lays a foundation for more time spent outside, more walking, and more opportunity to be in and enjoy the public realm,” he said. “But transit stations and the spaces around them can be profoundly more nature-full, from interior living walls and natural daylight to the trees, native shrubs, gardens, and water elements that might be designed-in. “A recent study found that perceived waiting times at bus stations were lower when there were trees and greenery around them. Nature has the power to ease city stresses. “So can we even go so far as to re-imagine the very nature of a Melbourne train trip? Rather than stressful they can become an opportunity to enjoy a bit of nature-connection or a chance to enjoy the natural world. “These qualities are ever more important, as the world population continues to urbanise, but they are also essential ingredients in a ‘Liveable City’ and positioning Melbourne as an internationally recognised ‘EcoCity’.